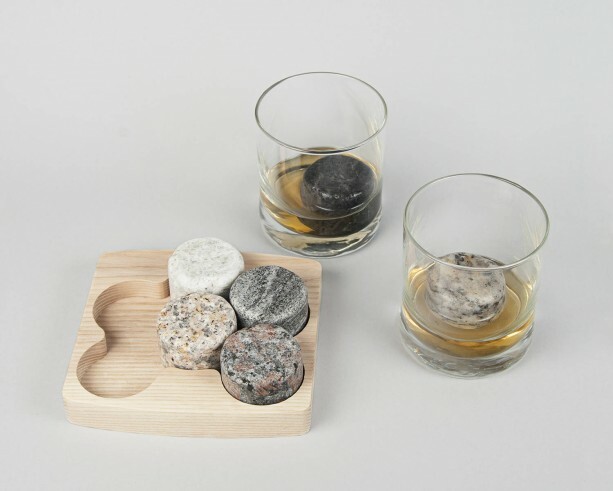 Skip the ice and chill with a drink On the Rocks ... Our solid granite chillers allow you to enjoy the pure taste of your finest spirits without diluting or altering their textures or flavors. 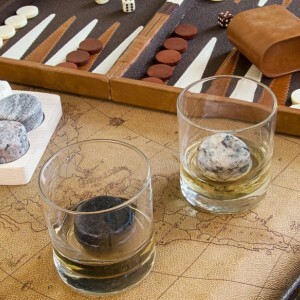 Unlike ice cubes, On the Rocks are made from solid granite, so they never taint your drink with chlorine or other common impurities. 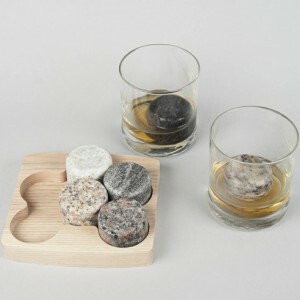 They are perfect for top-shelf liquor lovers and eco-enthusiasts alike. 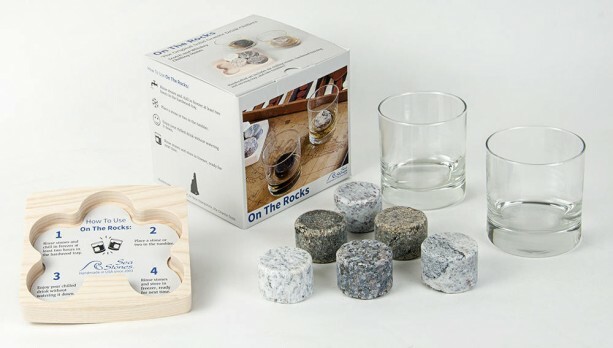 They also won’t deep-freeze your drink like ice does and close down the aromas and flavors -- these stone-cold chillers bring your whiskies and other spirits to life by cooling to the ideal sipping temperature while preserving perfectly-balanced flavors. 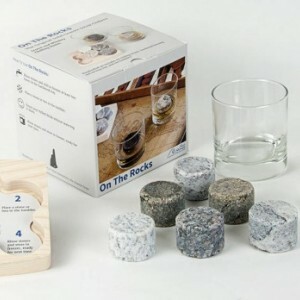 Set of 6 disks comes with a fitted hardwood freezer/serving tray and 2 old-fashioned tumblers. 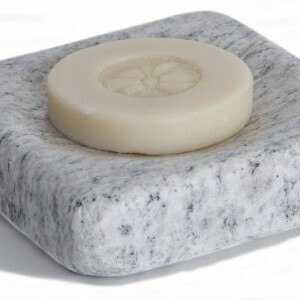 Wash and chill for at least 2 hours before use.